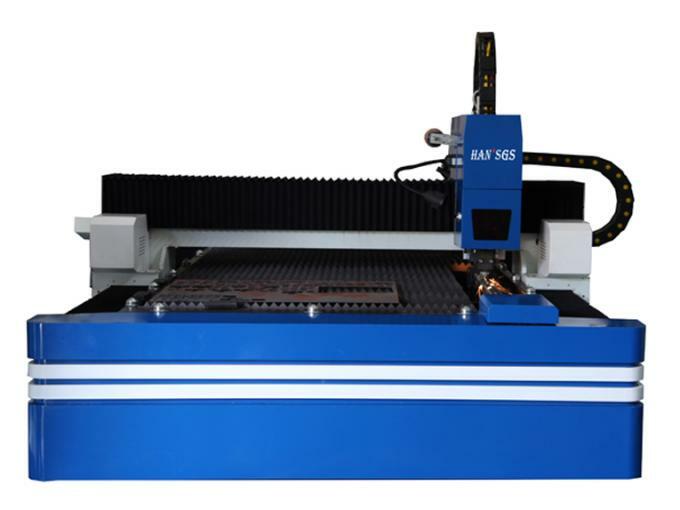 GS-LFD3015-A double drive fiber laser cutting machine is high technology product integrated of laser cutting, precision mechanism, digital control technical, adopting with big power laser source with international advanced technology. The whole product is sensational designed with excellent flexibility and performance, with international famous brand of key parts including key electric parts, service motor, control system and others. The product has characteristic of high combination, more precision and stable running performance. In addition, it also can be used to cut metal tube with the new design. It’s widely used in cutting and shaping industry for carbon steel, stainless steel and aluminum alloy, and regarded as best choice for metal cutting with high speed, high precision, high efficiency and high cost effective features. 1. 2 in 1 function, can be used to cut metal tube & plate. 2. Smaller Focal spot and cutting gap. Much more efficient and better processing quality. 3. 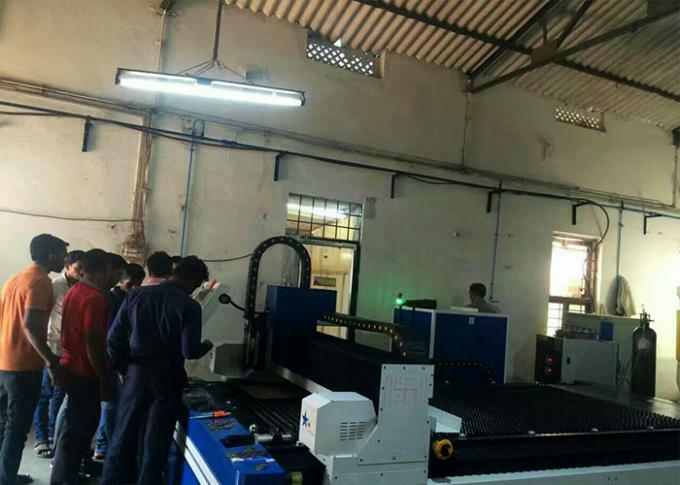 Extremely high cutting speed which equals to two times of tradition CO2 laser cutting machine with same power specification. 4. The photoelectric conversion rate is three times higher than traditional CO2 laser cutting machine, and it’s environmental protection. 5. 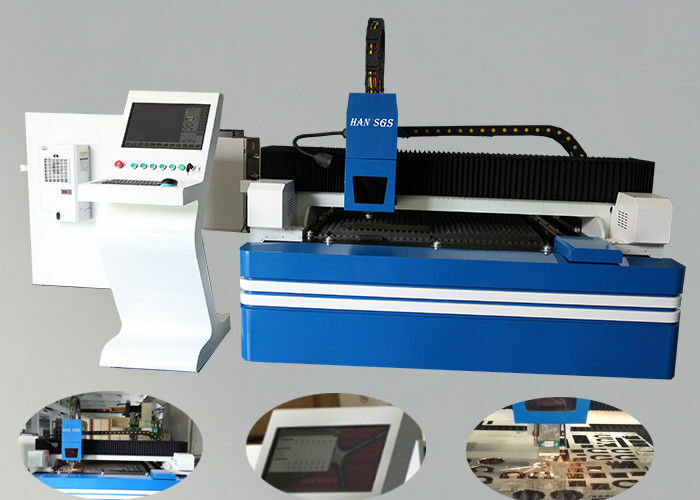 Lower running cost compared with traditional CO2 laser cutting machine, the power consumption is 20%-30% of CO2 laser cutting machine. 4.2.1 non contact capacitor auto tracking system , Z-axis floats stability, auto adjusts optimal focal distance. 4.2.2 Two different focus lenses, adapt to cutting various thickness materials, assure the optimal cutting effect. 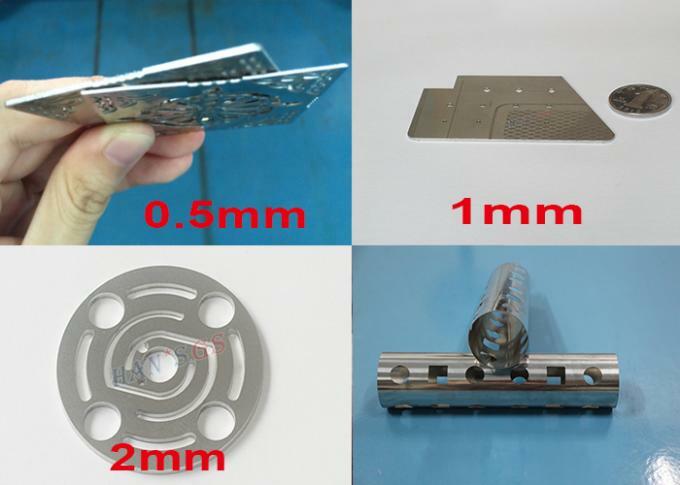 4.2.3 The laser cutting head can bear 2.0Mpa pressure, high pressure gas path, improve cutting ability for the materials difficult to cut such as stainless steel.